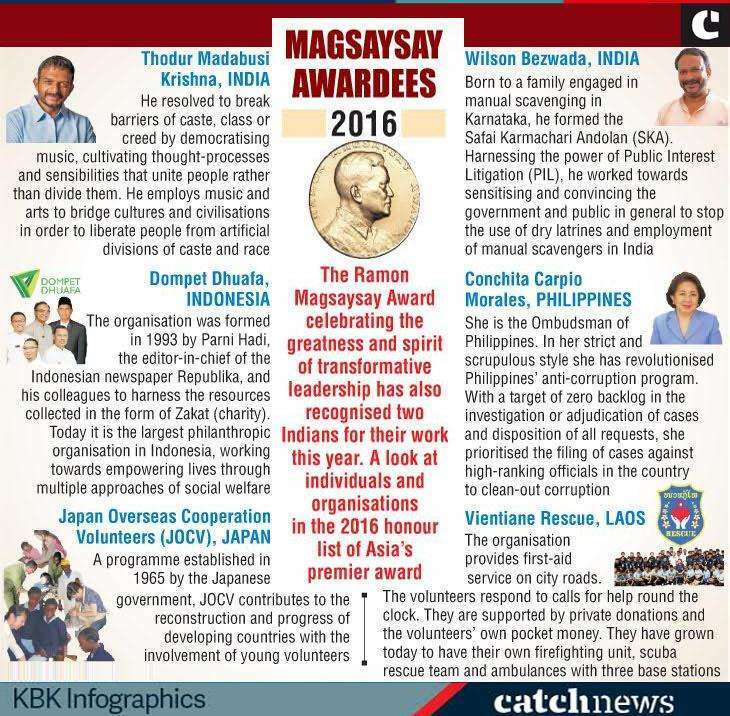 Social activist Bezwada Wilson and musician TM Krishna have won the Ramon Magsaysay Award for 2016. Apart from the two Indians, Conchita Carpio-Morales, Dompet Dhuafa, Vientiane Rescue and Japan Overseas Cooperation Volunteers are the other four winners of the prestigious Ramon Magsaysay Award for this year. According to a report in the Times of India, Bezwada Wilson, born to a Dalit family in Karnataka, has been praised for his efforts in "asserting the inalienable right to a life of human dignity". On the other hand, TM Krishna, born in Chennai, is a proponent of Carnatic music and is lauded for "ensuring social inclusiveness in culture". 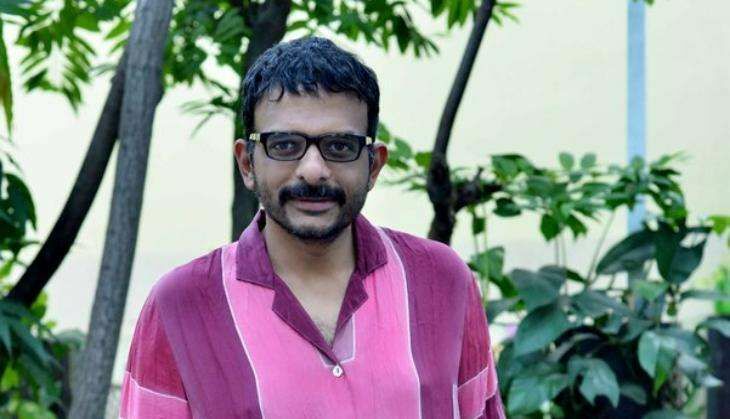 "TM Krishna saw that his was a caste-dominated art that fostered an unjust, hierarchic order by effectively excluding the lower classes from sharing in a vital part of India's cultural legacy. He questioned the politics of art; widened his knowledge about the arts of the dalits ("untouchables") and non-Brahmin communities; and declared he would no longer sing in ticketed events at a famous, annual music festival in Chennai to protest the lack of inclusiveness. Recognizing that dismantling artistic hierarchies can be a way of changing India's divisive society, Krishna devoted himself to democratizing the arts as an independent artist, writer, speaker, and activist," reads the citation, as featured in the Hindu. "Now a leading advocate in India of music for all and music for a better quality of life. Music and the arts are capable of bridging cultures and civilizations and liberating us from artificial divisions of caste and race," the citation states. "Fifty year old, Bezwada Wilson has spent 32 years on his crusade, leading not only with a sense of moral outrage but also with remarkable skills in mass organizing, and working within India's complex legal system. SKA has grown into a network of 7,000 members in 500 districts across the country. Of the estimated 600,000 scavengers in India, SKA has liberated around 300,000. While Bezwada has placed at the core of his work the dalits' self-emancipation, he stresses that manual scavenging is not a sectarian problem," states Wilson's citation, according to the Hindu.